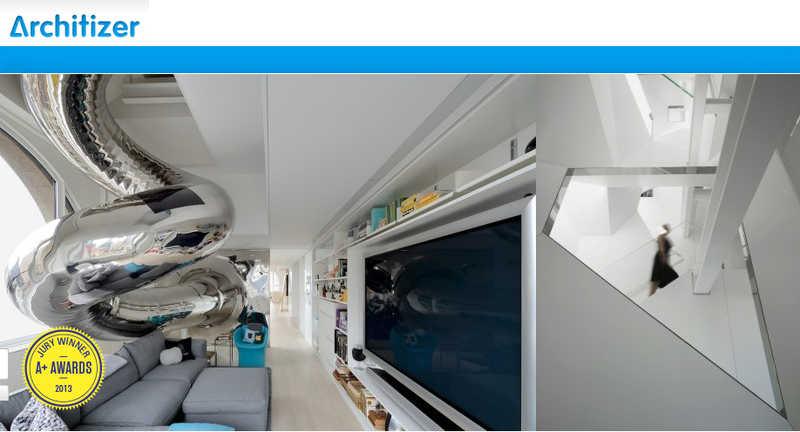 Tuesday, March 19, 2013-- SkyHouse was awarded the Jury Prize in the Residential Interiors Category in the Architizer A+ Awards competition. The project was selected as the winner from among an international group of entries from 100 countries by a jury of over 200 eminent architects and cultural critics. For more on the A+ Awards visit Architizer. For the SkyHouse entry click here.